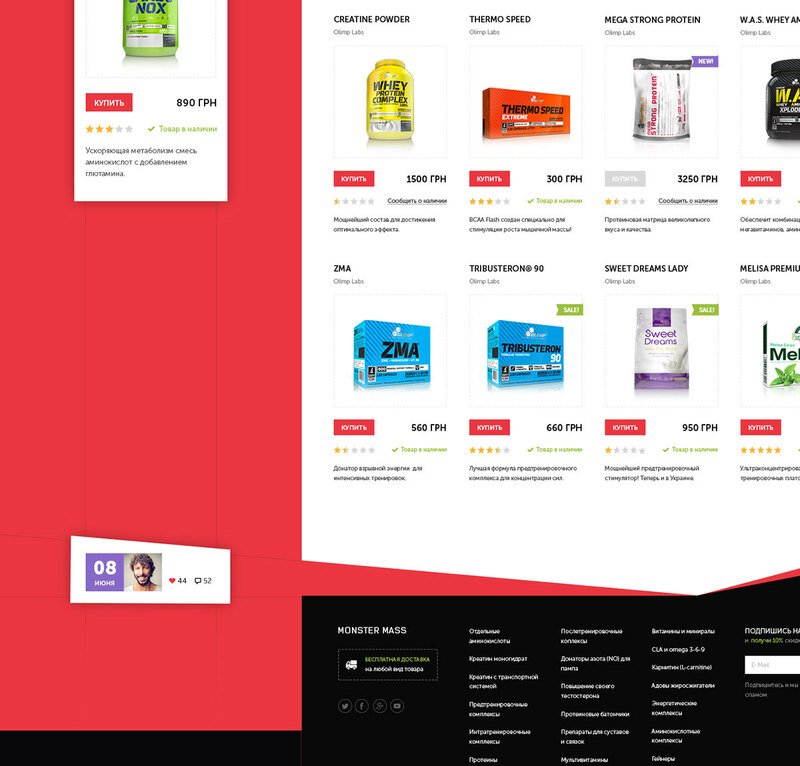 Monster Mass is a specialized store of vitamins and minerals, sports supplements, homeopathic remedies, as well as products for maintaining beauty and health. 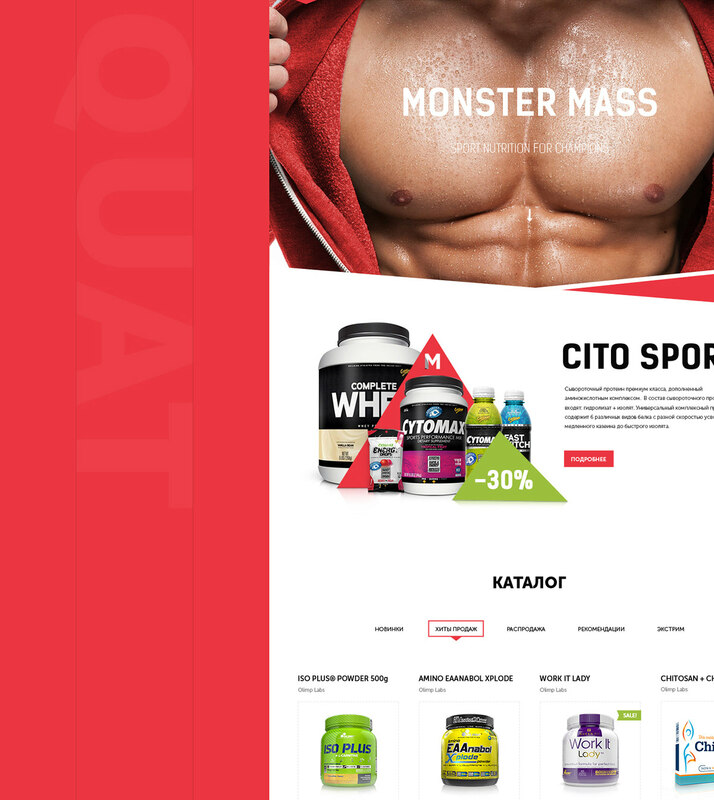 The Monster Mass brand is marketed not only as a supplier of sports nutrition and nutritional supplements, but also as a representative of an active and healthy lifestyle. 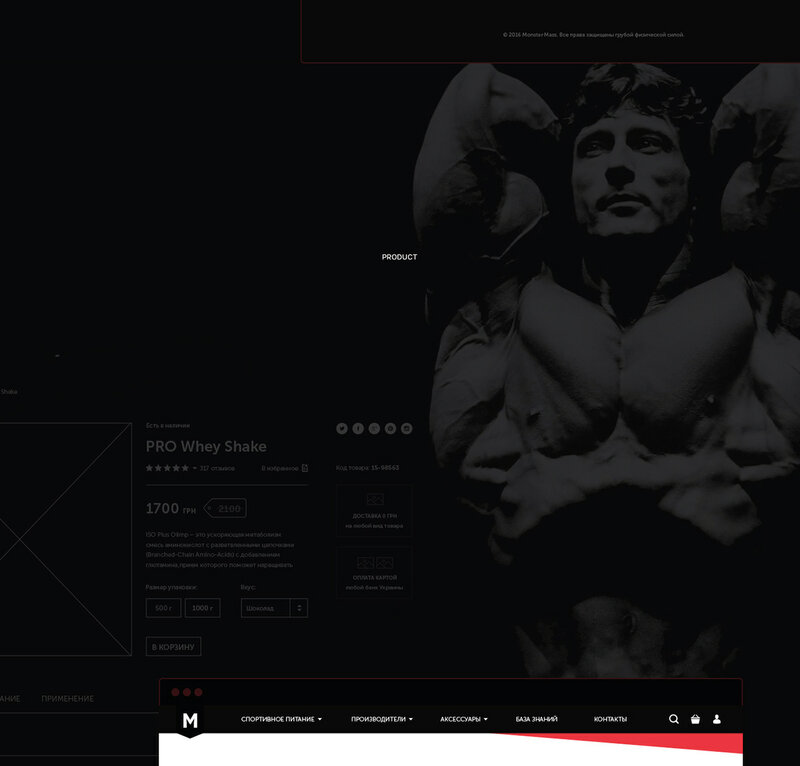 Monster Mass Shop is part of a network of shops with sports nutrition, accessories and clothes. 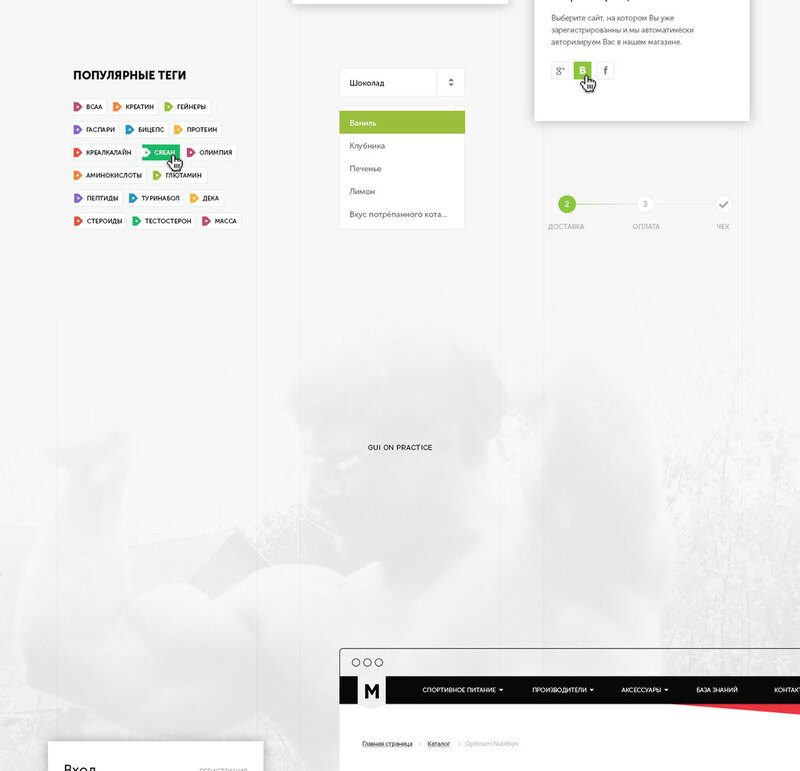 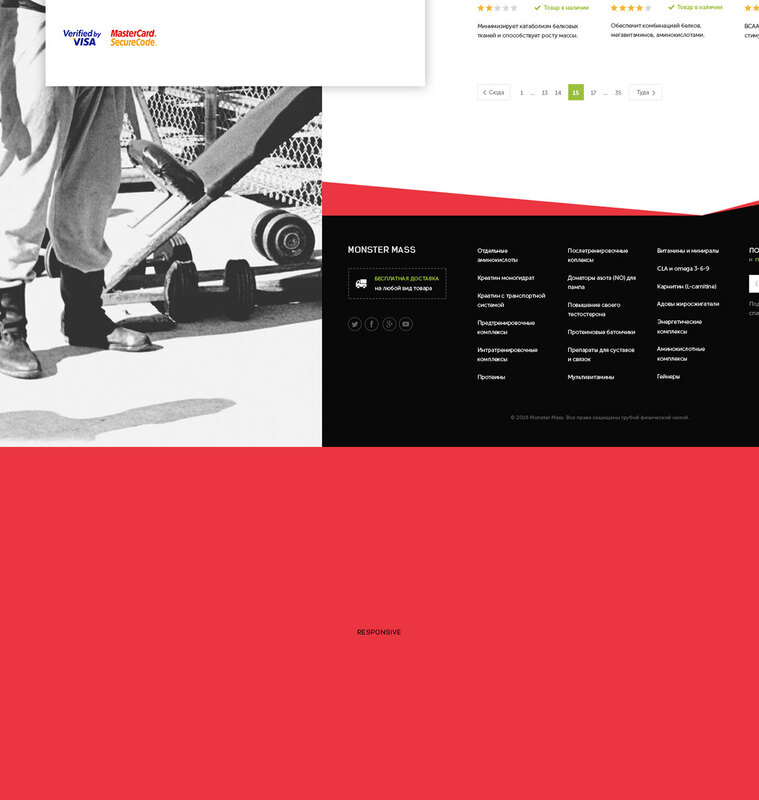 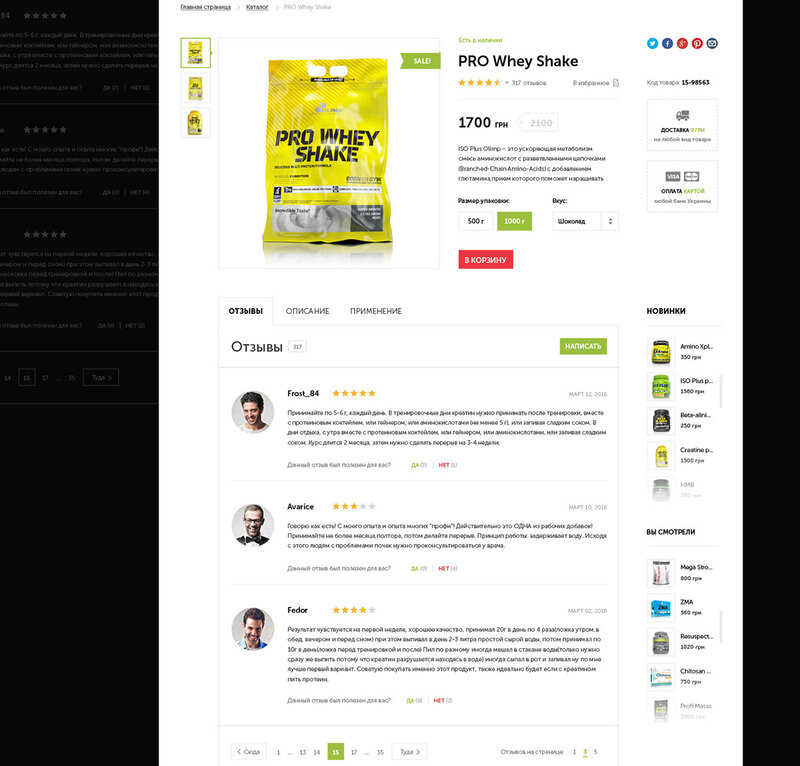 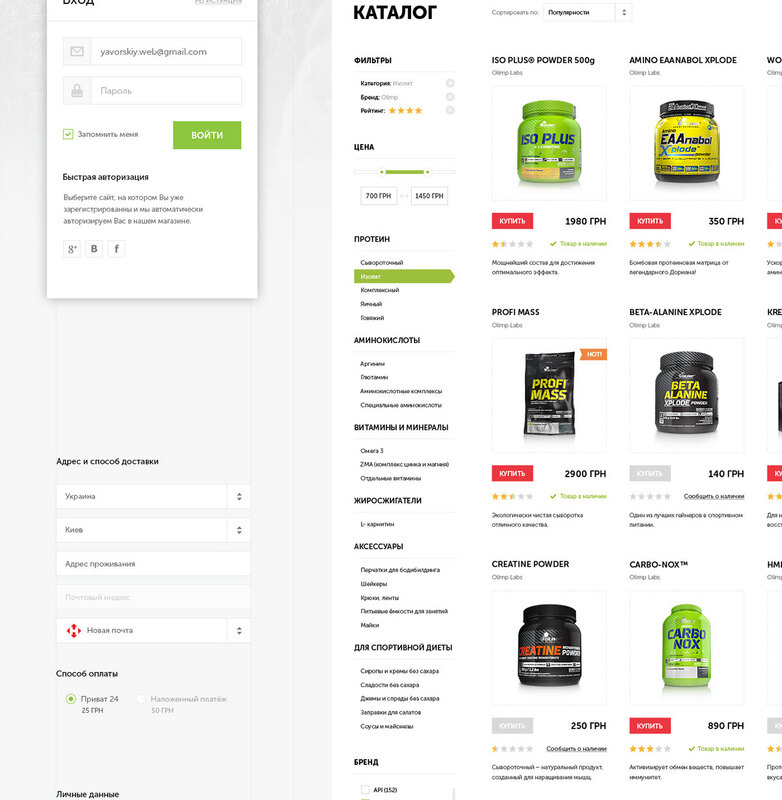 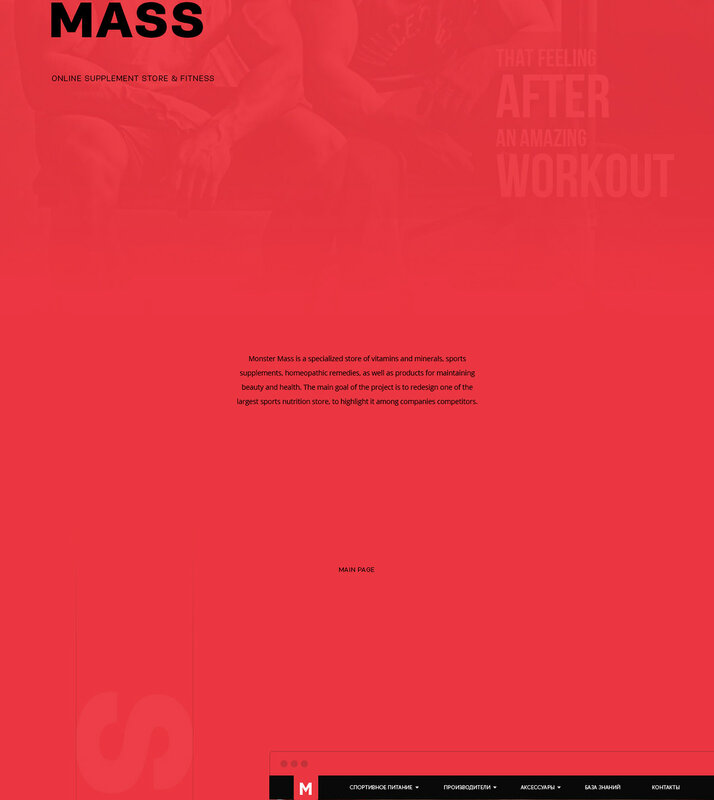 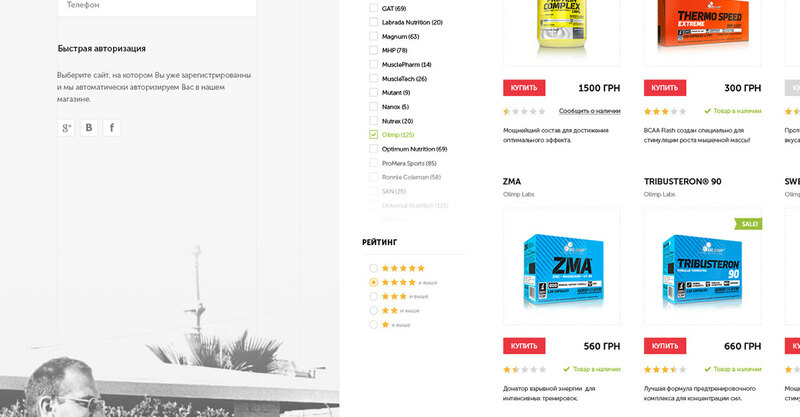 The main goal of the project is to redesign one of the largest sports nutrition store, to highlight it among companies competitors.